Billions of dollars have been freed up for distribution to the victims of Ponzi schemer Bernard Madoff, left. A federal bankruptcy court judge cleared the way for billions of dollars to be distributed to victims of Bernard Madoff, the mastermind behind the biggest Ponzi scheme in history. Judge Burton Lifland in the southern district of New York gave the green light on Wednesday to distribute up to $2.4 billion to burned investors. The victims could receive the money within weeks, according to the trustee's office. In July, court-appointed trustee Irving Picard filed a request to free up $1.5 billion to $2.4 billion for the victims of Madoff's pyramid-style scheme. While some of the victims are seeking 9% interest on their stolen assets, Picard petitioned for a rate of 3%, which the judge granted. Picard, who is in charge of tracking down, recovering and distributing Madoff's stolen assets, said this allocation is in addition to the $335.5 million already returned to victims. The Securities Investor Protection Corp., which provides financial protection for investors, has returned $802.3 million to the victims. Altogether, the trustee's office has recovered $9.1 billion out of the $20 billion total that was lost to Madoff's long-running scam. Much of that money has not been freed up for distribution. Not everyone agrees with how the trustee is distributing the funds, and some victims have filed suit opposing the process, arguing that they are owed more money for the fictitious gains that Madoff promised them over the years. For decades, Madoff ran a Manhattan-based investment firm that served as a front for his Ponzi scheme. His victims believed he was investing their money, but he was actually using it to fund a lavish lifestyle for him and his wife Ruth. They lived in a Manhattan penthouse and had extravagant homes in Montauk, N.Y., Palm Beach, Fla., and the French coast. Their possessions included diamond-studded jewelry, a satin Mets jacket emblazoned with "Madoff" and a yacht named "The Bull." Madoff kept the scheme going for decades by issuing statements to his investors with fictitious balances, and he used funds from new victims to pay remittances to the more mature investors. 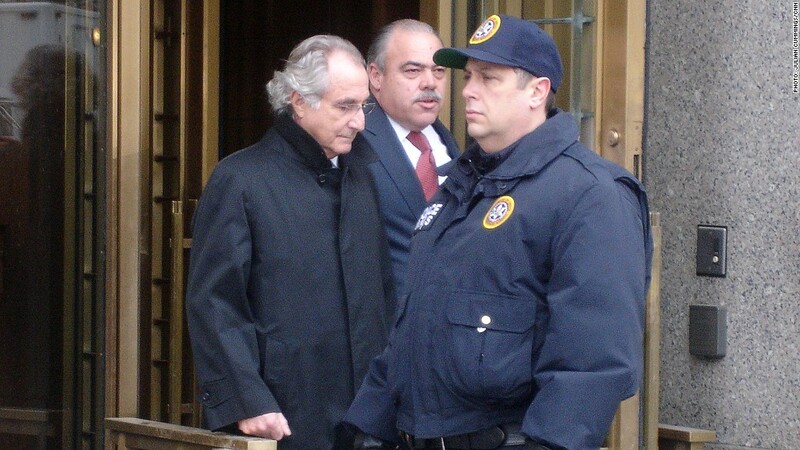 Madoff's scheme finally came crashing down with his arrest on Dec. 11, 2008. He pleaded guilty three months later and was sentenced to 150 years in prison. Madoff, 74, resides at the Butner Federal Correctional Complex in North Carolina. His release date is in 2139. Madoff tried, and failed, to insulate his family from the ramifications of his crimes. The trustee has sued his wife Ruth and other family members. Madoff's brother Peter, who worked at the firm with him, was recently sentenced to 10 years for participating in the fraud. One of Madoff's sons, Mark, committed suicide in 2010, on the second anniversary of his father's arrest.